JACQUES KUBA SÉGUIN "LITANIA PROJEKT"
Very excited about the next gig on June 11th with the Franklin Electric. 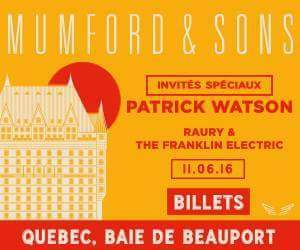 We'll be opening for Mumford and Sons!! LIMM (Ligue D'improvisation Musicale de Montréal) @ Café Campus. 8pm. Grande FINALE! !